With its history of mass immigration dating from the 17th century, it is a “melting pot” of cultures from around the world and plays a dominant role in the world’s cultural landscape. It’s famous for its wide array of popular tourist destinations, ranging from the skyscrapers of Manhattan and Chicago, to the natural wonders of Yellowstone and Alaska, to the warm, sunny beaches of Florida, Hawaii and Southern California. Tourism simply refers to travelling for leisure, business or recreational purposes. From this point of view it is clear that tourism and travelling go hand in hand. One cannot talk of tourism without travel, and also cannot talk of travel without tourism. Tourists usually travel and stay away from their normal areas or rather environment for some time with an aim of getting involved in business, leisure or other purposes. The United States is a large country. Americans have done both and they’ve done them at a pace unparalleled in history. At the time Columbus did not discover America in 1492, there were less than a million people living on what is now the Continental United States. Due to the fact that Columbus thought that he had finally found a sea passage to India, he called these people Indians. They were one of the some three hundred nations, or tribes, of North Americans who had been developing their own separate histories, languages, philosophies, and religions for over a thousand years. Tourism in the United States grew rapidly in the form of urban tourism during the late nineteenth and early twentieth century’s. By the 1850s, tourism in the United States was well established both as a cultural activity and as an industry. New York, Chicago, Boston, Philadelphia, Washington, D.C., and San Francisco, all major US cities, attracted a large number of tourists by the 1890s. By 1915, city touring had marked significant shifts in the way Americans perceived, organized, and moved. The Statue of Liberty, the Empire State, the Hollywood sign, Las Vegas neon, Golden Gate and the White House have long been global icons, and American brands and images are familiar everywhere. Yet first-time visitors should expect some surprises. Though its cities draw the most tourists – New York, New Orleans, Miami, Los Angeles and San Francisco are all incredible destinations in their own right – America is above all a land of stunningly diverse and achingly beautiful landscapes. In one nation you have the mighty Rockies and spectacular Cascades, the vast, mythic desert landscapes of the Southwest, the endless, rolling plains of Texas and Kansas, the tropical beaches and Everglades of Florida, the giant redwoods of California and the sleepy, pristine villages of New England. You can soak up the mesmerizing vistas in Crater Lake, Yellowstone and Yosemite national parks, stand in awe at the Grand Canyon, hike the Black Hills, cruise the Great Lakes, paddle in the Mississippi, surf the gnarly breaks of Oahu and get lost in the vast wilderness of Alaska. Or you could easily plan a trip that focuses on the out-of-the-way hamlets, remote prairies, eerie ghost towns and forgotten byways that are every bit as “American” as its showpiece icons and monuments. The sheer size of the country prevents any sort of overarching statement about the typical American experience, just as the diversity of its people undercuts any notion of the typical American. America, being quite possibly the most powerful country in the world, has a certain obligation towards itself, as well as all of the nations with which it coexists. 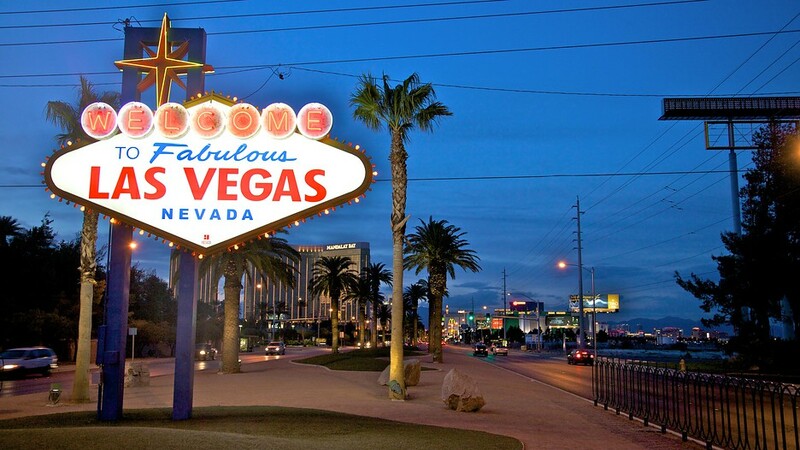 Las Vegas, Nevada– is the largest center for adult entertainment in the entire world. It offers gambling, glitzy entertainment and unbelievably extravagant architecture. Giant pyramids of glass, multicolored fantasy castles, replicas of the Eiffel Tower and the New York skyline rise out of the Nevada desert. Even if you don’t gamble or party, it is worth seeing this flamboyant display of opulence. In addition, Las Vegas is conveniently located near some of the greatest natural scenery in the southwest including the Grand Canyon Zion and Death Valley. It is only a half-day drive from Los Angeles. The city was founded by ranchers and railroad workers but quickly found that its greatest asset was not its springs but its casinos. Visitors came to partake in what the casinos offered: low-cost luxury and the thrill of fantasies fulfilled. Florida, is the largest center for family entertainment in the entire world. It offers Disney World, the largest family amusement complex on this planet, plus Universal Studios, Sea World, Wet and Wild and several other major attractions. Hundreds of smaller amusement and entertainments are located nearby. You can spend weeks in Orlando without seeing it all. In addition, Florida offers wonderful tropical beaches and year-round golf and tennis.Orlando is the place to make all of your vacation dreams come true. Of course, it is beloved for its theme parks: Walt Disney World, Universal Orlando Resort, SeaWorld Orlando and many others. But it also beckons with world-class resorts, shopping opportunities for every budget, all-season golf courses, and some of the most enticing dining opportunities on the planet. Less known but equally inviting are the downtown sections of Orlando itself and many nearby towns in Central Florida – places that celebrate public art and take pride in offering a myriad of cultural opportunities. Come to Orlando – and bring the family – and wish upon a star. New York City is the largest metropolitan center in the USA. It is famous for the Statue of Liberty, Empire State building, United Nations, museums, Broadway theaters, restaurants, Times Square, nightlife and shopping. New York City became an important city during the Revolutionary War period and for a brief time period, it was Capital of the new United States. It is a huge vibrant city that never seems to sleep. There are many opportunities for entertainment in its myriad of nightclubs, bars, theaters, and sports arenas. There are lots of cultural attractions in its museums, art galleries and concert halls. Hawaii is a string of volcanic islands set in the middle of the Pacific Ocean. Hawaii, constituent state of the United States of America. Hawaii became the 50th U.S. state on August 21, 1959. Hawaii is a group of volcanic islands in the central Pacific Ocean. The islands lie 2,397 miles (3,857 km) from San Francisco, California, to the east and 5,293 miles (8,516 km) from Manila, in the Philippines, to the west. The capital is Honolulu, located on the island of Oahu. It is a tropical paradise with near perfect year-round weather, fantastic beaches with amazing surf and spectacular scenery. This is a favorite honeymoon retreat for many couples. It is an ideal destination for swimming, tanning, surfing, boating, fishing, golf and tropical exploration. California, is the second largest city in the USA and the largest metropolitan center on the west coast. Los Angeles and vicinity city, seat of Los Angeles county, southern California, U.S. It is the second most populous city and metropolitan area (after New York City) in the United States. The city sprawls across a broad coastal plain situated between mountains and the Pacific Ocean; the much larger Los Angeles county, which encompasses the city, contains some 90 other incorporated cities, including Beverly Hills, Pasadena, and Long Beach. It includes many different communities including Hollywood, home of the movie-makers, and Beverly Hills, home of the movie stars. L.A. has a pleasant subtropical climate with many miles of white-sand beaches and the famous “California Surf”. It is conveniently located near many scenic attractions like the spectacular coastline of Big Sue, the alpine wilderness of the Sierra Nevada Mountains and the austere beauty of the Mojave desert. It is only a half-day drive to Las Vegas, Nevada. San Francisco, California is the other great city in California. It is smaller than Los Angeles and does not have the warm tropical beaches, but it is much more scenic. Hillside streets lined with Victorian houses overlook a large blue bay surrounded by pastoral mountains. Bay Bridge city and port, coextensive with San Francisco county, northern California, U.S., located on a peninsula between the Pacific Ocean and San Francisco Bay. It is a cultural and financial center of the western United States and one of the country’s most cosmopolitan cities. Historic cable cars still ascend the steep streets, and the magnificent Golden Gate Bridge frames its Pacific inlet. The nearby Marin headlands and Muir woods provide scenic diversions. It is less than an hour drive to the Napa Valley and Sonoma Valley wine country, and a half-day to beautiful Yosemite National Park. Grand Canyon National Park in Arizona is one of the greatest natural wonders of the world. It is a mile deep (1,500 meters) and over 15 miles (20 km) wide by 100 miles (150 km) long. vast scenic area of northwestern Arizona in the southwestern United States. The park was created in 1919, and its area was greatly enlarged in 1975 by the addition of the former Grand Canyon and Marble Canyon national monuments and by portions of Glen Canyon National Recreation Area, as well as other adjoining lands. It has an area of 1,902 square miles (4,927 square km). In 1979 the park was designated a UNESCO World Heritage site.The interior of the Canyon is adorned with a vast maze of multicolored mesas, cliffs and promontories punctuated by a labyrinth of smaller canyons and gorges. The ever-changing play of sun and shadow on the rock layers produces a breathtaking display best seen from the visitor’s center on the south rim. The only access to the interior of the canyon is by hiking or by riding mules down the precipitous trails. Yosemite National Park in California– contains one of the most beautiful alpine valleys ever seen. The park is situated in the heart of the Sierra Nevada range, and most of it lies within the basins of the Merced and Tuolumne rivers. The land rises from west to east, the eastern boundary forming a drainage divide. Most of the tallest peaks are in the southeastern area of the park, many exceeding 10,000 feet; Mount Lyell, at 13,114 feet, is the highest summit. Glaciation has sculpted a number of deep U-shaped valleys, notably the Yosemite Valley of the Merced River. Outside of the immensely popular valley, this immense park contains groves of giant Sequoia trees, alpine meadows and snow-capped peaks. It is a paradise for rock climbers, backpackers, campers, photographers and tourists. Alaska is the great northern wilderness frontier of the USA. It covers a vast area extending from the rain-forests of the Pacific coast to the tundra well beyond the arctic circle and along a broad archipelago of volcanic isles. Alaska is central to the great circle route connecting North America with Asia by sea and air and is equidistant from most of Asia and Europe. This central location has made Alaska militarily significant since the Japanese invasion of the Aleutians in 1942. Alaska’s eastern border with Canada is about 1,538 miles long, more than one-third the length of the entire U.S. boundary with Canada. The forests and streams abound with fish and wildlife including the fascinating but dangerous Kodiak bears. Glaciers and snow-capped peaks provide lots of spectacular scenery. Most of Alaska is inaccessible except via small “bush pilot” air taxis or by canoe and hiking. This is a popular destination for hunters, fishermen, photographers and wilderness explorers. Washington, DC is the capital of the USA, is a beautiful and interesting city. It is filled with numerous monuments, museums and public parks including the White House, the US Capitol and many other government buildings, There are plenty of interesting things to see in Washington, and most of them are completely free. Washington can be attributed to the hundreds of outdoor sculptures and monuments that adorn the parks, gardens, buildings, avenues, and cemeteries of the city. The first outdoor sculpture situated in Washington was the Tripoli Memorial, commemorating the heroes of the Tripolitan War (1801–05). It stood first in the Navy Yard in Southeast Washington and was later moved to the Capitol grounds before being relocated to the Naval Academy in Annapolis, Maryland. Washington has a diverse population and a great variety of ethnic restaurants. It is only an hour drive to the port city of Baltimore and a half-day drive to New York City. 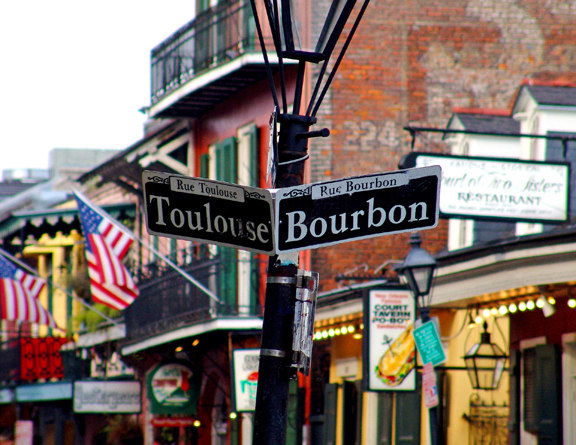 New Orleans, Louisiana is the most European flavored city in the USA. New Orleans is a city of paradox and contrast: while it shares the urban problems afflicting other U.S. cities, it has nevertheless preserved an exuberant and uninhibited spirit, perhaps best exemplified by its Carnival season, which culminates in the famous annual Mardi Gras, when more than a million people throng the streets. The city also has a solid economic base: it is the largest city in Louisiana, one of the country’s most important ports, a major tourist resort, and a medical, industrial, and educational centre. Spanish and French cultures blend with Afro-American and Caribbean influences to form this exotic city at the mouth of the Mississippi River. New Orleans is famous for Jazz music, wild nightlife and its fine Cajun cuisine.Tourists flock to New Orleans all year round to sample the great food and to enjoy the nightlife. Yellowstone National Park has the largest collection of geysers, hot springs and thermal phenomena in the world. Yellowstone is situated in a region that has been volcanic and seismically active for tens of millions of years. Tectonic movement of the North American Plate has thinned Earth’s crust in the area, forming a hot spot (a place where a dome of magma, or molten rock, comes close to the surface). About 2.1 million years ago a subsurface magma dome that had been building up in the Yellowstone area blew up in one of the world’s most cataclysmic volcanic eruptions. Some 600 cubic miles (2,500 cubic km) of rock and ash were ejected, equivalent to about 6,000 times the amount of volcanic material that was released during the eruption of Mount St. Helens in 1980. This huge National Park is populated with bison (Bull), elk, bears and wildlife in great abundance. It has vast expanses of wilderness, but many of the major attractions are easily accessible from the roads, and close encounters with the wildlife are almost guaranteed. Yellowstone is near Grand Teton National Park, the Rocky Mountains and the wide-open spaces of Montana. * Information on the traditional uses and properties of herbs/ yoga/ places/ are provided on this site is for educational use only, and is not intended as medical advice. all image credit goes to their Photographers. Previous Post What is Medical Tourism? How Travel Agents plays a great role to grow Medical Tourism in India? This is a fabulous article, lovely narrative and beautiful highlights of this fabulous country. Thanks for your support visit and beautiful comment 🙂 you made my day friend. you have made mine with your wonderful post!